Creating successful immigration policies is a hot topic conversation in mainstream media, especially given the separations happening at the Mexico-United States border. While getting our politicians to agree on immigration policy has proven to be a sticky situation, Voces de la Frontera is taking matters into their own hands in Wisconsin. 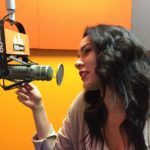 Read, watch and listen below to learn about Voces’ citizenship classes and the other services the organization provides for Latinos in Wisconsin. Voces de la Frontera (Voices from the Border) was born in the 1990s in Texas as a newspaper. After the organization was moved to Wisconsin, they began to take on more social work. Today, they organize campaigns advocating for social issues affecting the Latino community such as campaigning for immigration reform, labor and wage rights, education rights and more. 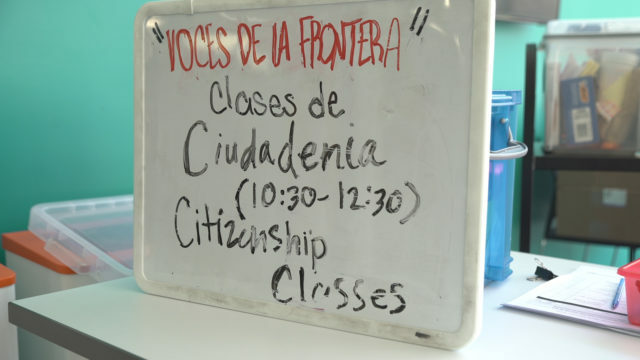 Every Wednesday evening and Saturday morning, Voces hosts citizenship classes to help prepare immigrants for the application and interview processes needed to become a citizen. Jeanette Arellano, who has volunteered as a teacher for the past two years, says it’s an overwhelming process as she lists the steps needed to gain American citizenship. In her two years of running the citizenship classes, she will now see three of her students take the exam and interview for citizenship status. Arellano’s class is hosted at the Mitchell Street Library every Saturday morning in the community room. Find out about more of Voces’ services for Wisconsin’s Latino community here.